Eight years ago, entrepreneur and managing director Paul Polly identified an opportunity in the premium, chilled dessert retail category and decided to open PDP Fine Foods in Sydney. Polly aimed to establish his company as the leading producer and innovator of desserts in the Australian market, and these days the company’s brand, Wicked Sister, is now stocked in major retailers across Australia. PDP’s original Bankstown plant was pieced together from standalone equipment with limited integration and no automation, so as the popularity of the Wicked Sister product range grew, demand began to outstrip supply. The company was operating 24/7 due to low throughput and lack of automation, and this was resulting in high overhead costs. Moreover, the process and packaging lines, and the staff were being pushed to the limit. Raw material, packaging and finished goods storage was also maxed out, and all of this was restricting the company’s options to diversify product ranges and grow production volumes, and making it impossible to pursue new opportunities. Because PDP needed to grow volume quickly, and at the same time reduce overhead costs by making overtime shifts more profitable, it decided a new site was required. The company sought the help of Melbourne-based design consultant and project management company, RMR Process, a company that specalises in helping small to medium food manufacturers that are transitioning rapidly through a growth phase. 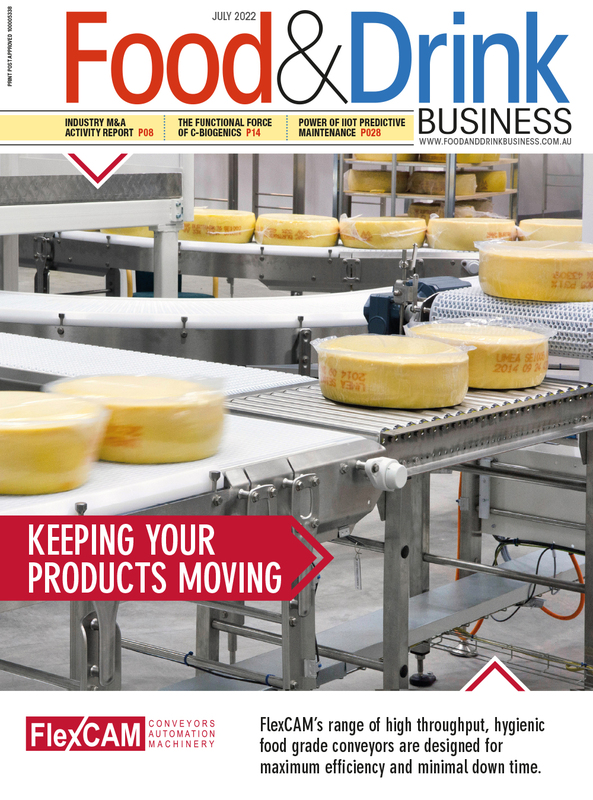 “For smaller companies, speed to market, flexibility and reliability are key factors, and designing processes and buildings that hit start-up targets and achieve the highest quality and food safety standards are all keys to success,” RMR’s owner and director, Peter Taitoko said. Once PDP had shortlisted some sites, RMR was engaged to establish the start-up and future requirements of the business, and with this in mind, looked for a the most suitable site that would meet all of Wicked Sister’s needs. Together they agreed on an existing site in south-western Sydney that could be converted into a world class food manufacturing facility, and then set out to build the best desserts facility in Australia. To achieve this, the facility needed to accommodate additional production lines to allow for increased volumes, and it also needed increased ambient and finished goods warehousing. Finally, it also had to consider footprint and infrastructure for future expansion. As part of the plant design, it was agreed Wicked Sister also needed to invest in equipment and automation to reduce its labour costs, so RMR sought to source high quality equipment that met all regulatory food safety standards for the lowest cost. Finally, all of this work had to happen as quickly as possible. “Throughout the project, demand for Wicked Sister products was growing beyond expectations. This meant fast-tracking the delivery of key equipment and increasing the level of automation to avoid overtime costs,” Taitoko said. An existing building in Ingleburn, NSW, was chosen, and RMR engaged local contractors to carry out works. As part of the project, the internal flooring was excavated to make way for new drainage and flooring. Fugen Constructions was engaged to carry out construction works and renovations of the existing administration areas. The new facility would house new batching, cooking, filling and packaging lines as well as ambient and chilled warehousing, boiler and services plant room. In late January this year, within eight months of purchasing the site, Wicked Sister was manufacturing products from the new facility. The plant is 10 times the size of the Bankstown facility, and production has increased with far fewer shifts and no additional staff, according to Sam Dickson, Wicked Sister’s general manager. “We transitioned from a 24/7 operation to a five days a week single shift, and we’re producing more. "Regulatory auditing bodies and industry professionals have praised us for the exacting standards in process, equipment and facility build with suggestions often made that the facility is one of the best in Australia,” he says. "We are immensely proud of this facility and our Team enjoy working here." Sales have risen almost 50 per cent this financial year, says Dickson. “The site is allowing us to develop new product formats, and have a look at other markets outside of retail, such as food service and export,” he said. According to Taitoko, the success of the project hinged on a rigid, commissioning, validation and start-up plan that involved all stakeholders across the project. “We had a very aggressive start-up curve and the only way you can hit all of the targets is to plan meticulously and have a project team totally committed and motivated to achieving the project goals. “The hard work paid off and allowed PDP to quickly establish their site as a world class food manufacturing facility, enabling them to rapidly increase throughput as well as expand their dessert ranges,” he said. “Without exception our clients project brief is always dynamic throughout the project life-cycle, simply because they are actively growing their business during the project.